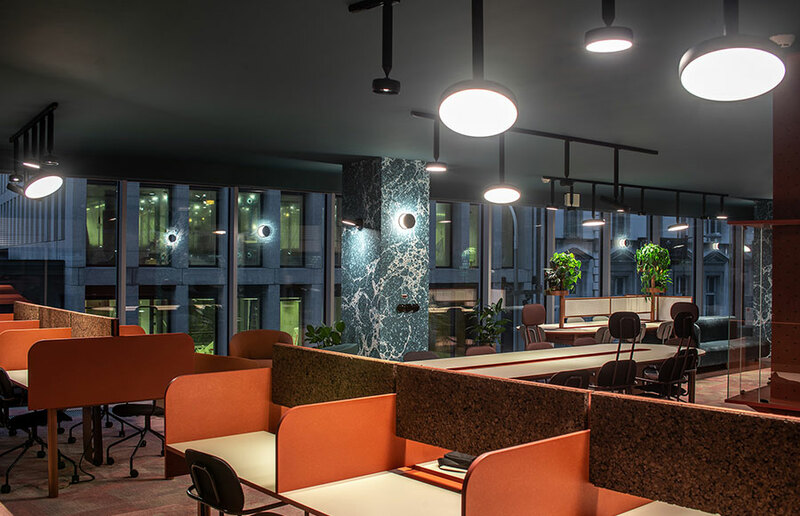 The creators of this boutique coworking space appreciated among others by Wallpaper* and Frame, place a emphasis on creating a non traditional office, to make you feel comfortable and cozy, just like at home. 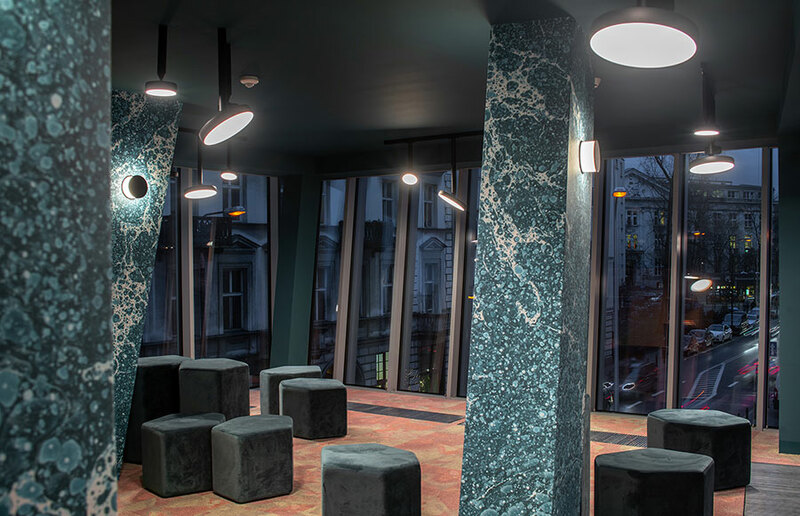 In the interior design, one of the main roles was played by Myco fixtures (surface-mounted and the track option) and Luno. 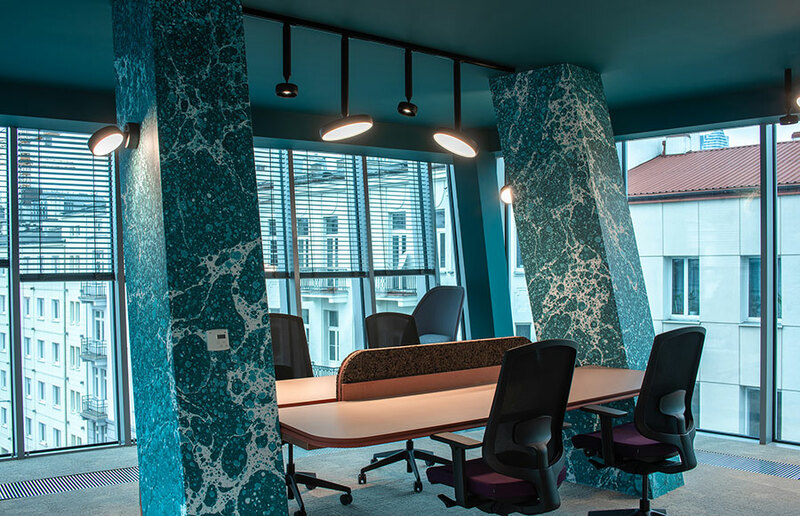 The interior design was created by studio Beza Projekt as fully author's concept, supported by the artist Katarzyna Korzeniecka - Ikakok, a specialist in paper marbling, which is a recognizable element of both the interior and the branding of The Nest. Each of the storeys has a different layout and character. 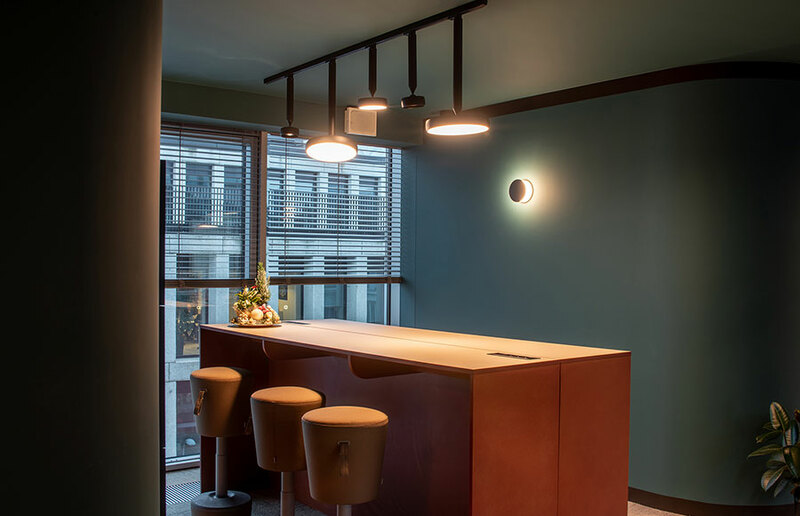 Thanks to advantages of our fittings, they managed to illuminate all of the spaces with very different functions. Most of the floors combine open office space, conference rooms and also event venue. There is a central meeting place - cafe on the second level and on one of the levels you can leave your child with the day care service. Luno wall mounted fittings in their simplicity adapt perfectly to the marble space of the Nest. They provided soft, pleasant and even complementary light, creating characteristic light spots on the walls. Myco luminaires provide different way of lighting within one family of lamps. 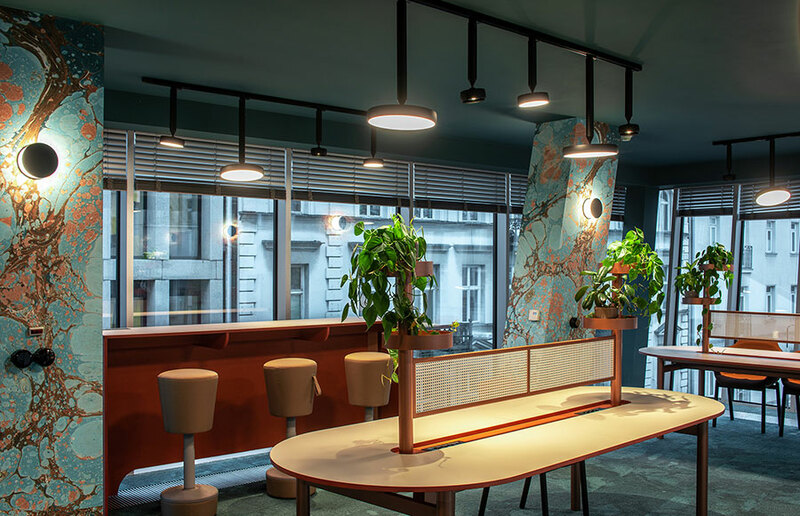 In the coworking interior, they were used in the surface-mounted version and mounted in the track. 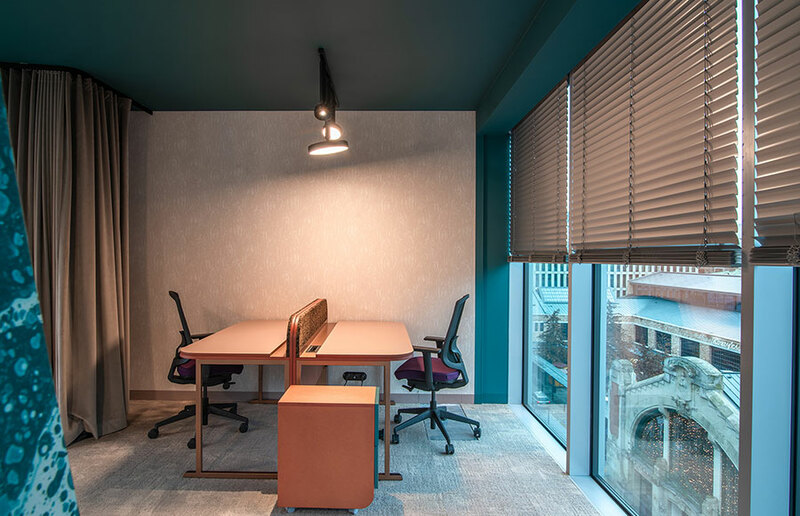 Their various sizes combine focused and diffused light, thanks to which they are ideal for a desk or a larger conference room or in the corridor.